We're pleased to participate in the Courage & Defiance blog tour today. Deborah Hopkinson won a Sibert Honor for Titanic: Voices from the Disaster in 2013, which was a popular book with the middle grade readers in my library. In her latest nonfiction book, Hopkinson turns her attention towards the Nazi invasion of Denmark during World War II. 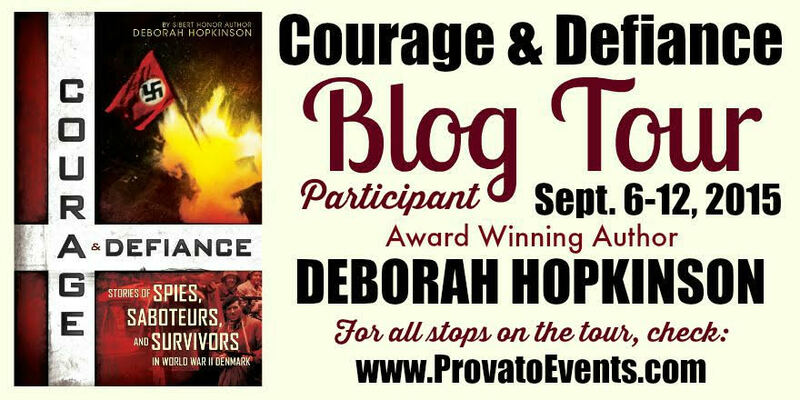 The stories in Courage & Defiance are thoroughly researched. In a narrative style, Hopkinson describes how courageous Danish citizens risked their lives to become saboteurs and spies in an attempt to stop the Nazi invasion of Denmark. Themes of resistance and bravery pulse throughout the story. Tommy Sneum secretly photographed German radar equipment then flew a plane to England with the evidence. Niels Skov set fire to Nazi vehicles. Others joined the resistance by illegally publishing Frit Danmark, a publication that called on citizens to take action and resist the German occupation. When the Nazis began rounding up Jews, Poul Thiessen and Niels Skov helped Jewish families escape by hiding people on fishing boats headed to Sweden. The book also contains black and white photographs, a timeline, a map, and a list of people featured in the book. 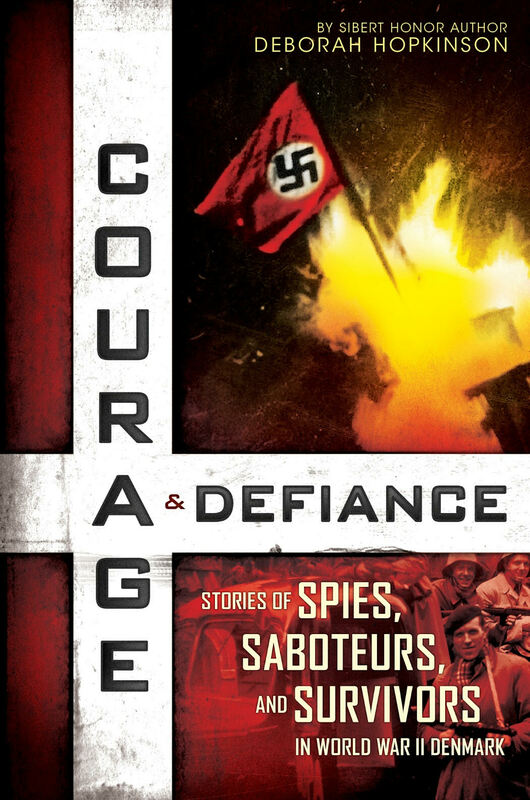 Courage & Defiance is an exciting true story about ordinary people who put their lives on the line to save their country from Nazi control. It's the perfect book for history buffs in middle school and high school. Pair Courage & Defiance with His Name was Raoul Wallenberg by Louise Borden or The Boys Who Challenged Hitler by Phillip Hoose. 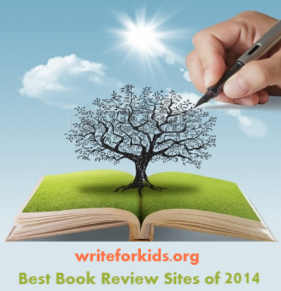 The reviewer received an advanced copy of the book from the author.